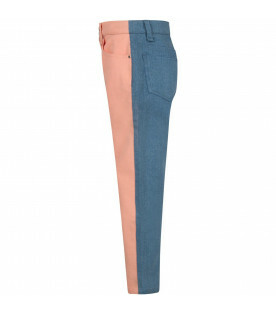 Color: Pink and light blue -Description: Pink and light blue denim five pocked jeans, with straight leg, closure with button and zip and adjustable waistband thanks to inside elastic with buttons. - Details: 98% Cotton 2% Elastane. Machine wash at 40°C. 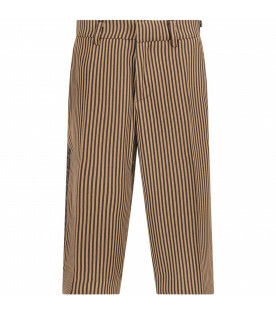 Color: Black -Description: Black flared pants with ribbed elasticized waistband and zip side closure. 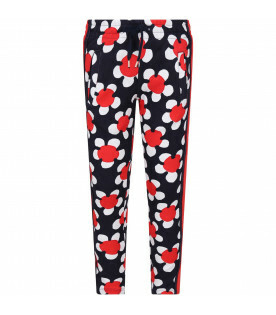 It is embellished with white all-over polka-dots and metallic logo, on the front. -Details: 100% Polyurethane. Machine wash at 30°C. 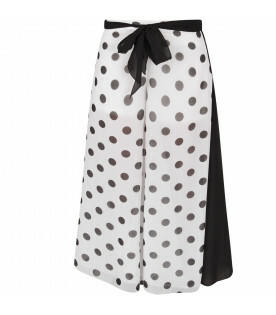 Color: Black and white -Description: Black and white flared pants with elasticized waistband, black belt with bow and zip side closure. 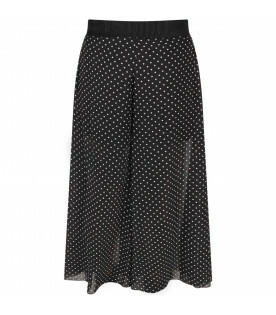 It is embellished with black polka-dots, on the front. -Details: 100% Polyurethane. Machine wash at 30°C. 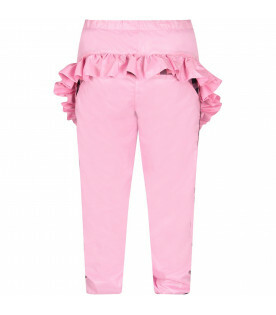 Color: Pink -Description: Pink pants with elasticized waistband, coulisse and side pockets. 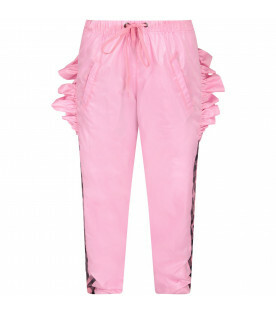 It is embellished with ruffles, on the back and pink and black checked side stripes. - Details: 100% Polyamide. Dry clean only. Color: Light blue -Description: Light blue pants with straight leg, closure with zip and button, adjustable waistband thanks to inside elastics with buttons, belt loops, side inseam pockets and pocket with button on the back. -Details: 100% Wool. Dry clean only. Color: Red -Description: Red pants with black animalier print with elasticized waistband and side pockets, on the front. - Details: 100% Cotton. Machine wash at 40°C. Color: Blue -Description: Blue denim jeans with belt loops, adjustable waistband thanks to inside elastic with buttons, two front pockets with press-studs and closure with zip and press-studs, on the front. 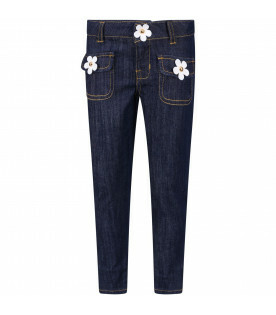 It is embellished with white and gold press-studs shaped like flowers. 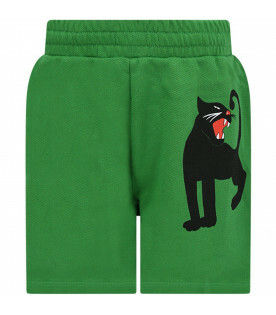 -Details: 79% Cotton 29% Polyester 2% Elastan. Machine wash at 30°C. 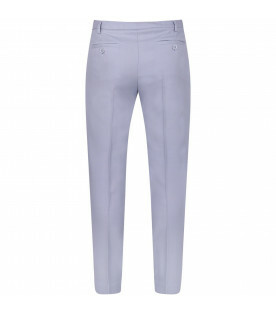 Color: Blue -Description: Blue sweatpants with elasticized waistband, coulisse, side pockets. 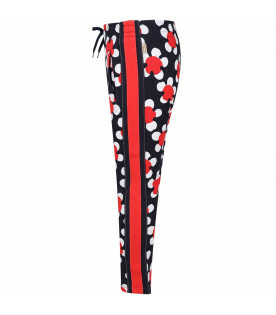 It is embellished with red side stripes and white and red all-over flowers. -Details: 100% Cotton. Machine wash at 30°C. 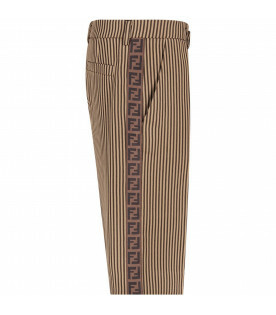 Color: Beige -Description: Beige bell-bottom pants, with side pockets, adjustable waistline from inside with bottons and closure with zip and botton, on the front. 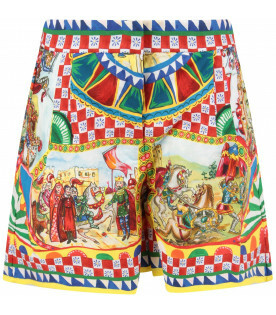 It is embellished with colorful iconic patches all-over. -Details: 100% Cotton. Hand wash.
Color: Blue -Description: Blue jeans, washed out effect, with closure with zip and press-stud on the front and adjustable waistband thanks to inside elastic with buttons. It is embellished with brown patch with black logo, applied on the back. - Details: 56% Cotton 19% Polyeser 14% Lyocel 11% Viscose. 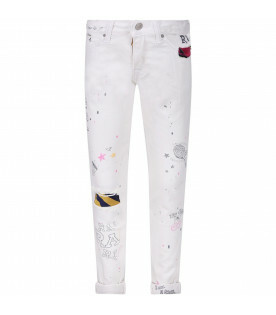 Color: White -Description: White five pocked jeans, with closure with zip and button, on the front and adjustable waistband thanks to inside elastic with buttons. 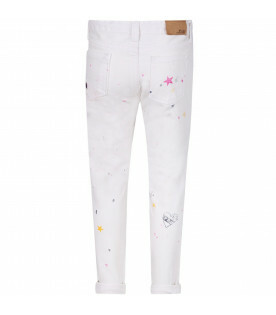 It is embellished with colorful all-over stars, prints and writing. - Details: 100% Cotton. Machine wash at 30°C. 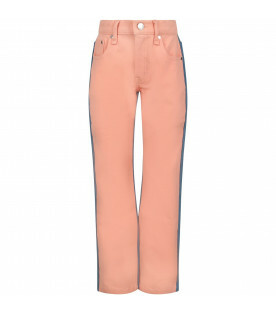 Color: Light blue -Description: Light blue five pocked jeans, washed out effect, with closure with zip and button, on the front and adjustable waistband thanks to inside elastic with buttons. It is embellished with brown patch with black logo, applied on the back. - Details: 56% Cotton 19% Polyeser 14% Lyocel 11% Viscose. Color: White -Description: White five pocked jeans, with closure with zip and button, on the front and adjustable waistband thanks to inside elastic with buttons. It is embellished with white embroiderd flowers, on the bottom and on the back pocket. - Details: 98% Cotton 2% Elastan. Machine wash at 30°C. 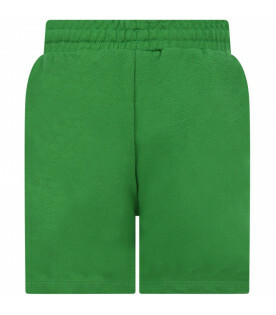 Color: Silver -Description: Silver lurex short with elasticized waistband, coulisse and side pockets. It is embellished with metallic iconic logo, applied on the front. -Details: 100% Polyester. Machine wash at 30°C. 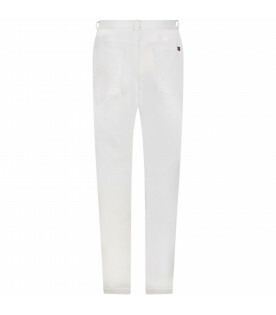 Color: White -Description: White pants with side zipped closure and metalic iconic logo, apllied on the front. -Details: 97% Cotton 3% Elastan. Machine wash at 30°C. Color: Light blue -Description: Light blue jeans, with stone washed effect, fake pockets, on the front, adjustable waistband thanks to inside elastic with buttons and closure with button and zip on the front; it is embellished iconic metallic D on the back. - Details: 92% Cotton 6% Elastan. Machine wash at 30°C. Color: Blue -Description: Blue sweatpant with elasticized waistband, blck coulisse, turn-up and side pockets. It is embellished with brow iconic double FF, embroidered , on the back. -Details: 69% Viscose 26% Polyamide 5% Elastan. Machine wash at 30°C. Color: -Description: Color block leggings,net effect, with white and lurex gold elasticized waistband. - Details: 55% Poyurethan 45% Polyester. Hand wash.
Color: Light blue -Description: Light blue denim five pocked pants with hook and zip closure, belt loops and adjustable waistband thanks to inside elastic with buttons. 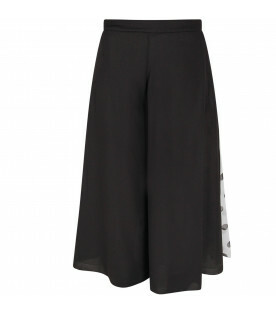 It is embellished with logo, on the back and fringed hemline. -Details: 68% Cotton 22% Polyrethan. Machine wash at 30°C. Color: Multicolor -Description: Color block denim five pocked pants with hook and zip closure, belt loops and adjustable waistband thanks to inside elastic with buttons. It is embellished with logo, on the back. -Details: 98% Cotton 2% Elastan. Machine wash at 30°C. 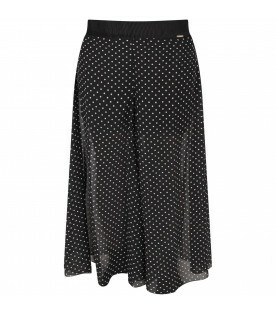 Color: Black and white - Description: Black and white leggings,net effect, with white and lurex gold elasticized waistband. - Details: 55% Poyurethan 45% Polyester. 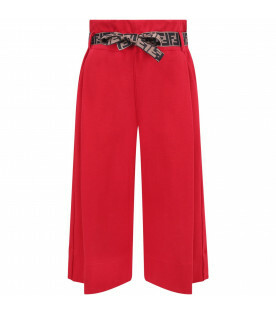 Hand wash.
Color: Red -Description: Red flared pants, with elasticized waistband, belt loops and side pockets. It is embellished with light blue belt with double iconic FF, around the waist. -Details: 69% Viscose 26% Polyamide 5% Elastan. Machine wash at 30°C. 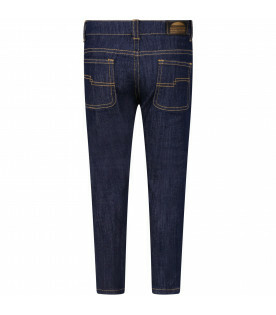 Color: Blue -Description: Blue denim five pocked jeans, with adjustable waistband thanks to inside elastic with buttons, turn-up and closure with button and zip on the front; it is embellished iconic metallic D on the back. -Details: 92% Cotton 6% Elastan. Machine wash at 30°C. Color: Black -Description: Black pants with adjustable waistband thanks to inside elastic with buttons, front rips, two back pockets with bottons and closure with side zip. It is embellished with iconic metallic D, on the back. -Details: 97% Cotton 3% Elastan. Machine wash at 30°C. Color: Light blue -Description: Light blue bell bottom jeans with fringed hemline, ripped holes, adjustable waistband thanks to inside elastic with buttons and closure with button and zip on the front; it is embellished with metallic logo on the back. - Details: 89% Cotton 11% Elastan. Machine wash at 30°C. 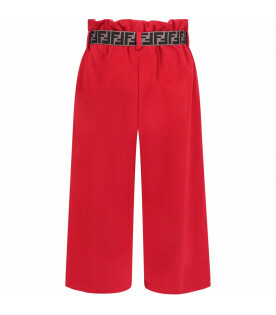 Color: Red -Description: Red bell bottom pants with adjustable waistband thanks to inside elastic with buttons, two frontal pockets, two back pockets with bottons and closure with double button and zip on the front; it is embellished with metallic logo on the back. - Details: 97% Cotton 3% Elastan. Machine wash at 30°C. 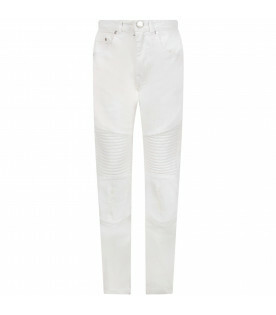 Color: White -Description: White five pocked jeans, with adjustable waistband thanks to inside elastic with buttons, turn-up and closure with button and zip on the front; it is embellished iconic metallic D on the back and metallic fringes applied, on the front. - Details: 92% Cotton 6% Elastan. Machine wash at 30°C. Color: Blue -Description: Blue bell bottom pants with adjustable waistband thanks to inside elastic with buttons, two frontal pockets, two back pockets with bottons and closure with double button and zip on the front; it is embellished with metallic logo on the back. - Details: 97% Cotton 3% Elastan. Machine wash at 30°C. Color: Blue -Description: Blue bell bottom jeans with fringed hemline, adjustable waistband thanks to inside elastic with buttons and closure with button and zip on the front; it is embellished with metallic logo on the back. - Details: 89% Cotton 11% Elastan. Machine wash at 30°C. Color: Black -Description: Black leggings with elasticized waistband, made from cotton; it is embellished with coral rubbred side logo. - Details: 95% Cotton 5% Elastan. Machine wash at 40°C. Color: Military green -Description: Military green flared pants, with turns-up, two pockets on the front, two pockets, on the back, adjustable waistband thanks to inside elastic with buttons and closure with botton and zip, on the front.It is embellished with light blue, blue and white striped turns-up. -Details: 100% Cotton. Machine wash at 30°C. 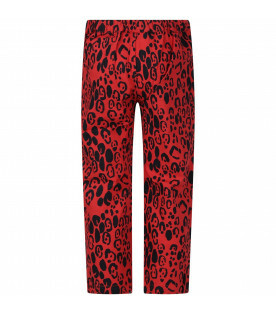 Color: Multicolor -Description: Multicolor leggings elasticized waistband; It is embellished with colorful brand's iconic print and white embriodered logo on the edge. - Details: 77% Polyamide 28% Elastan. Machine wash at 30°C. 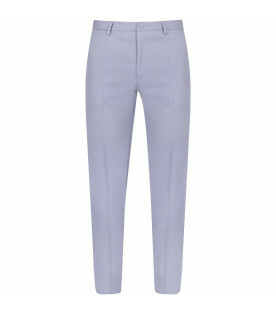 Color: Light blue - Description: Light blue flared pants with side pockets and closure with hook and zip, on the front. 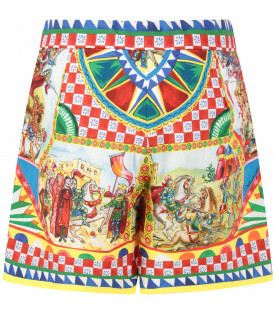 It is embellished with colorful all-over iconic print with black logo and white details, on the edge. -Details: 97% Cotton 3% Elastan. Machine wash at 30°C. 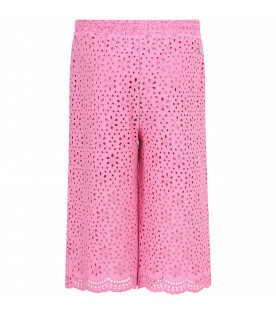 Color: Pink -Description: Pink flared pants, with elasticized waistband, coulisse and side pockets; made from San Gallo lace. -Details: 100% Cotton. Machine wash at 30°C.